Good morning! 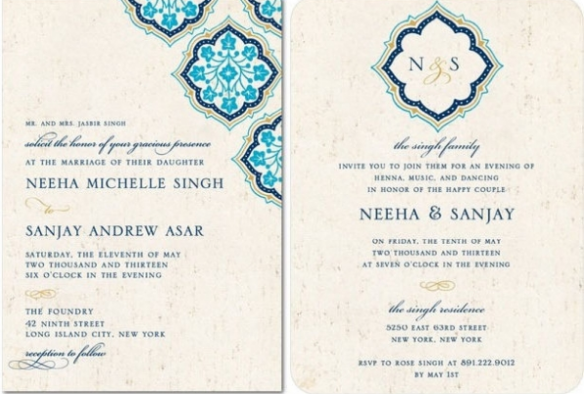 Today I’ve asked the fabulous Wedding Paper Divas for advice on an issue commonly faced by engaged South Asian couples: how can they afford beautiful wedding stationery when the guest list is so large and there are multiple days of events? Every invitation and insert increases the cost, which may leave the paper budget stretched to the brim. 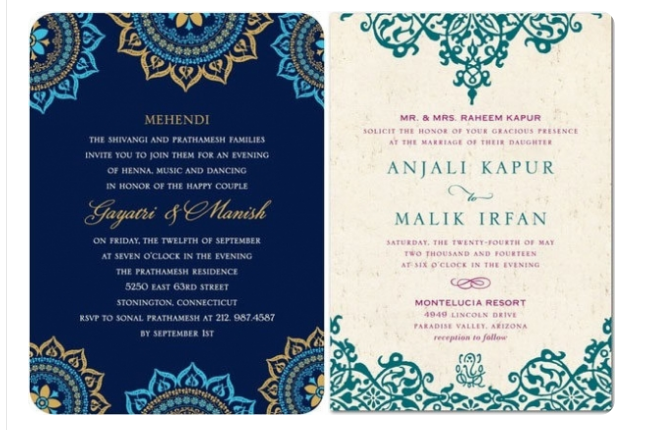 Brides and grooms often resort to ordering old fashioned invitations from India that may not suit the couple’s style. (That’s what I did and wish I could’ve had something more chic!) For the blog I wanted to team up with a stylish expert company to help readers who are struggling with the same choices. 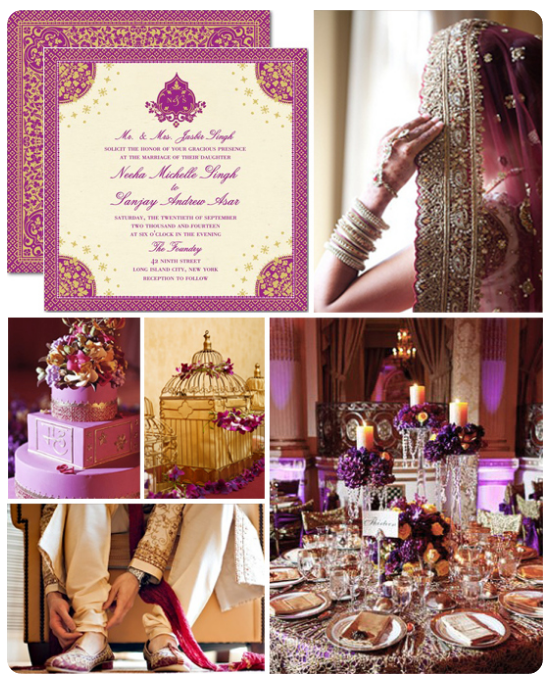 All photos below are courtesy of the Wedding Paper Divas and are my personal favourites from their Indian wedding invitation collection. Take it away, ladies! Is your guest list so large that it even rivals the royal wedding? Okay maybe it’s not that extravagant, but this is a special moment for the two of you so none of your nearest and dearest should be excluded from the celebration. However, having a big wedding means you will also have to send out tons of announcements and wedding invitations which will of course cause more damage to your pocketbook. But that doesn’t mean you should conform to cheap quality correspondence in order to cut costs either. Believe it or not, you don’t have to dish out beaucoup bucks if you want to get your hands on beautiful bridal stationery. Here are a few simple tips that will keep you from embarking on newlywed life without a negative bank account balance. To conserve cash, do not send those stunning save the dates to everyone on the guest list. Instead, only mail them to loved ones who live out of town so that they’ll have enough time to make travel arrangements and book hotel accommodations if necessary. By saving money on save the dates, you’ll have more room in your budget for the centerpiece of your stationery suite — the invites. Even though this will be your biggest stationery expense, you can pinch those pennies without lowering your standards by purchasing some affordable wedding invitations. They set the tone for your celebration so you wouldn't want to cut any corners by sending generic cards from the local discount store. Then again, they don’t have to be dipped in gold and sprinkled with diamonds either. Thankfully, thermography printing processes mimic the luxurious texture and appearance of engraved invitations for half the cost. Thank you so much ladies for the Diva-licious expert advice.